This is a 2-conductor barrier terminal strip, suitable for installation on avionics bay bulkheads to connect an e-match to wires from an altimeter. Each of these strips is sufficient to support a single pyro channel. 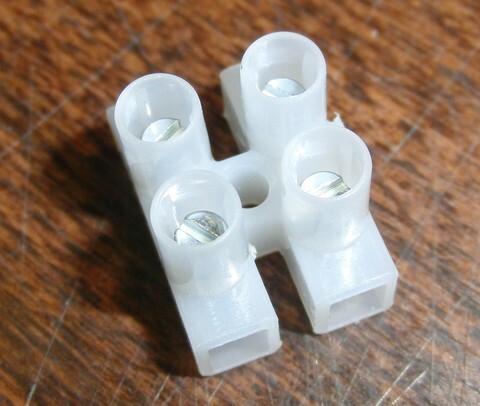 There is a single mounting hole in the middle, that can be used for mounting with a 4-40 or 3mm screw.